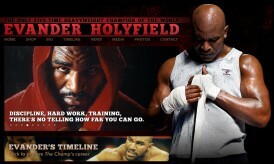 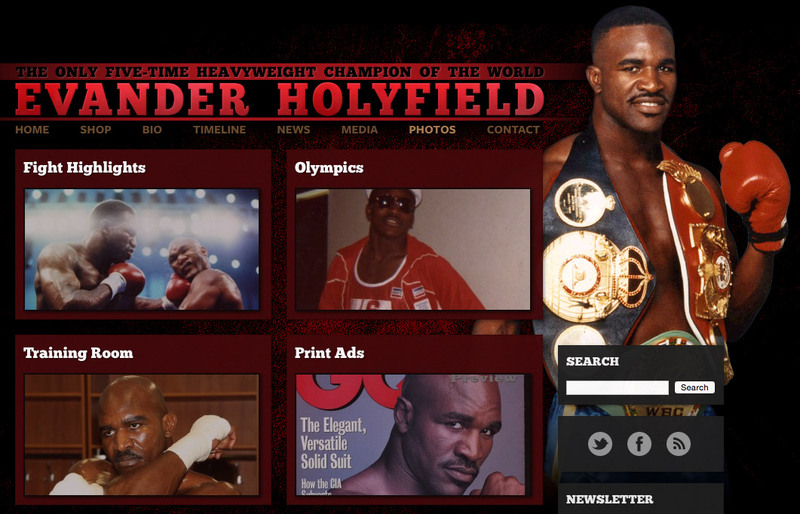 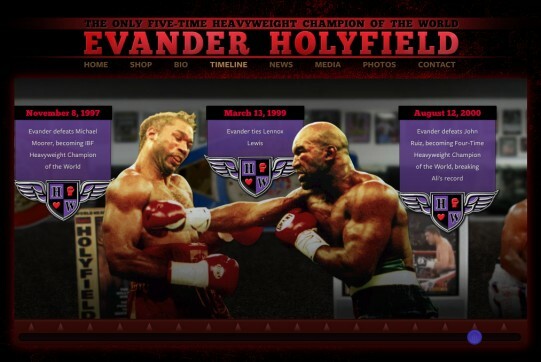 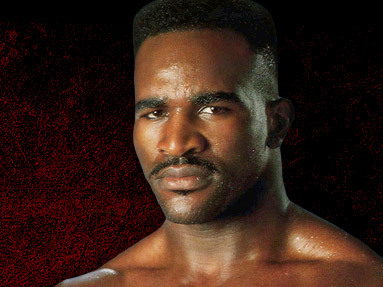 Official website for heavyweight champ Evander Holyfield. 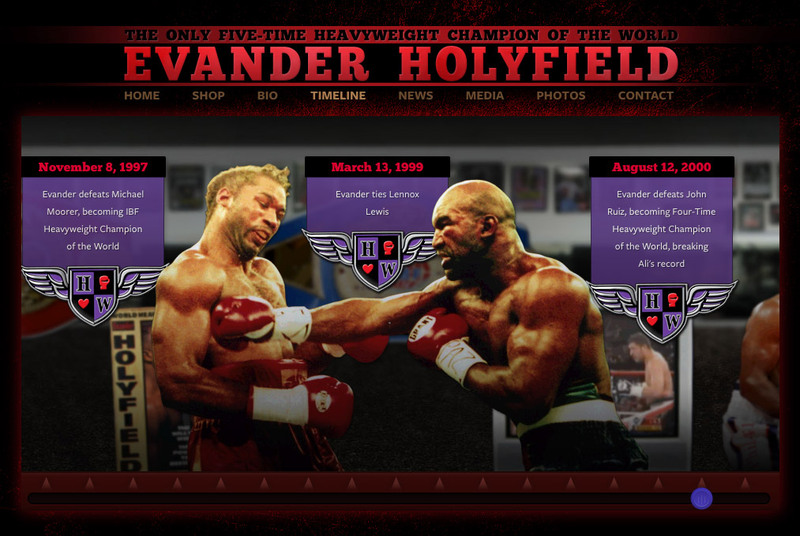 Includes a scrolling parallax timeline (non‑Flash!) highlighting key moments in his career. 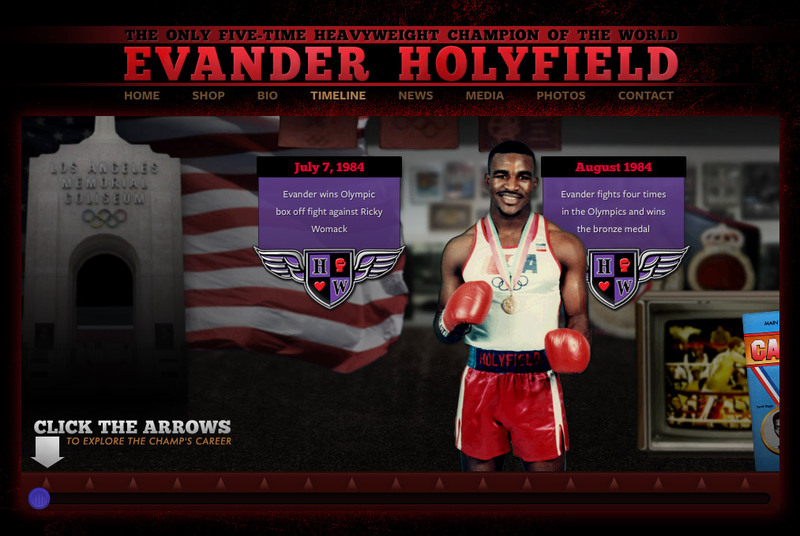 We also created a side site for Evander’s foundation, which has a similar style.